Alfred Hitchcock’s Psycho, which turns 50 years old(!) this year, will be screening at the Music Box theater in a new print in October, immediately followed by a release on Blu-ray, making it only the third Hitchcock film to get the HD treatment on home video (after The 39 Steps and North By Northwest). I first saw Psycho on basic television, commercials and all, when I was around ten years old, an ideal age for one to start watching Hitchcock, and even then I already knew the film’s “secret.” Psycho is so ingrained in the American consciousness, it has been referenced and parodied and ripped off so many times, that it has become one of those works of art, like Woody Guthrie’s “This Land is Your Land,” that viewers may feel they were born knowing. So what is it about Psycho that makes it so special? How exactly did it single-handedly inaugurate our modern era of horror and why has it been so influential over the past half-century? As its title would imply, Psycho is part of the subgenre known as psychological horror. Although the subgenre has been around since the silent era, as anyone who’s seen The Cabinet of Dr. Caligari can attest, Psycho kicked off a particularly modern cycle of psychological horror that, as Sarris notes, is rooted in the most banal aspects of contemporary American life. This, combined with Psycho‘s graphic violence, helped to pave the way for the physical horror movies (“slashers”) that became increasingly prevalent from the 1960s through the present day. It is important to remember that Hitchcock was in an extraordinarily privileged position when he made the film. Indeed, he was perhaps the only director working in America at the time who was even capable of making such taboo-busting and groundbreaking genre fare (in addition to its “graphic” violence, which of course looks tame today, Psycho also features the first onscreen toilet flush in a Hollywood movie). Hitchcock was privileged primarily because of his long track record of making movies that had been commercially successful. But, even then, in order to quell the anxieties of Universal executives, he had to shoot the film quickly and cheaply using a crew from his television show Alfred Hitchcock Presents. This meant foregoing the widescreen format and Technicolor process of his previous few movies. In exchange for keeping costs down, Hitchcock did not have a lot of people looking over his shoulder and telling him what to do. Consequently, he was able to make a highly personal film utilizing the resources of Hollywood in which his obsessions were writ large on the big screen. At the time of making Psycho, Hitchcock had been in the business for thirty-five years. Starting out in England and Germany in the silent era, then in America beginning in 1940, Hitchcock had honed his filmmaking craft on a series of thrillers that had achieved an unparalleled visual and thematic complexity by the late 1950s. Interestingly, Psycho consciously builds on what Hitchcock had been doing specifically during the previous decade and is sometimes referred to as the third part of a loose “trilogy of voyeurism,” following Rear Window in 1954 and Vertigo in 1958. In these movies, Hitchcock demonstrated the power of cutting a scene together by alternating subjective and objective points-of-view, having the audience see the world through a character’s eyes, usually with the purpose of making us identify with the darker side of human nature. In Psycho, Hitchcock took this technique to its logical, disturbing limit. In the trilogy of voyeurism, Hitchcock’s treatment of the theme starts off as relatively lighthearted in Rear Window and then becomes progressively darker with each subsequent film. The consequences of voyeurism also became more disastrous for the characters in each film, culminating in Psycho’s shower murder, which can be seen as Norman Bates’ only means of sexual release after arousing himself through the act of spying. The interplay of subjective and objective points-of-view is particularly disturbing here as the viewer is asked to assume Norman’s perspective not only during the murder but also during his meticulous cleaning up of the bathroom in its aftermath. The hypnotic, silent, clean-up scene, in which we watch Norman wash away and mop up every trace of blood spatter in the porcelain and tile-lined bathroom, goes on far longer than it needs to for any narrative purpose and is arguably the most compelling sequence in the film. By assuming Norman’s point-of-view, we feel, against our better judgement, a wish for him to succeed in his efforts of covering up the crime. Our identification with Norman reaches its apex in the following scene when he attempts to get rid of Marion’s car by pushing it into the swamp behind the Bates Motel. 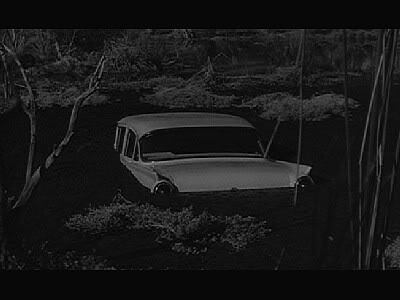 By alternating between objective shots of Norman’s anguished face with subjective point-of-view shots of the car as it temporarily stalls while only half-submerged in the swamp, Hitchcock has the audience identify with Norman’s desire to see Marion’s car continue its downward trajectory. No matter who you are or how many times you’ve seen the film, at that moment you want the car to sink! That is a testament to how well-constructed Hitchcock’s best sequences are. That is the genius of Hitchcock. Another reason Psycho continues to be an object of fascination fifty years after its release is what I would term its treatment of the “doppelgänger motif.” Hitchcock had always been interested in the duality of human nature, the belief that good and evil co-exist side by side in the human heart. In his earlier Hollywood films, he illustrated this by having two different characters represent two different sides of a single personality. This is most obvious in Shadow of a Doubt (where parallels are constantly drawn between Joseph Cotton’s Uncle Charlie and Theresa Wright’s Young Charlie) and Strangers on a Train (where Robert Walker’s Bruno is depicted not so much a fully rounded character as he is the murderous id of Farley Granger’s Guy). By the time he made Psycho, Hitchcock was also ready to push the concept of the psychological double to its logical limit by having two distinct personalities housed within a single character, a disturbing idea never before seen in a Hollywood movie. This concept is visually represented by the ordinary looking Bates Motel with the gloomy Victorian mansion lying incongruously on the hill just behind it. The above-mentioned aspects of Psycho are just some of the reasons it has become one of the most cherished films in the history of cinema. In the span of fifty years, there have been three Psycho sequels, one made-for-TV movie spinoff, a remake and literally hundreds of imitations both in America and abroad. Yet I don’t believe anything compares to the original, which still has the power to shock and entertain and to draw us into its nightmarish world time and time again. I have seen Psycho twice in 35mm prints. I have seen it on television, video and DVD. Shortly after October 19th, just in time for Halloween, I will watch it on Blu-ray for the first time. And I know I will still want to see Marion Crane’s car sink, I will still jump when Detective Arbogast gets it at the top of the stairs and I will still get goosebumps when Mrs. Bates tells us that she couldn’t even hurt a fly. This entry was posted on Friday, September 17th, 2010 at 12:17 pm	and tagged with Alfred Hitchcock, Andrew Sarris, Psycho, The American Cinema and posted in Essays, Film Reviews. You can follow any responses to this entry through the RSS 2.0 feed. I think you are forgetting one format–a giant screen downtown for Movies in the Park. And even though there were thousands of people crammed together on the lawn, we all still covered our eyes and screamed together as if we were alone in our apartments. Jillian, you are correct! That Movies in the Park screening would fall under the format of “digital projection,” which I didn’t count. What a great experience that was; nothing that beats the vibe of fear running through an audience at the public exhibition of a horror movie like that. Michael, I so enjoyed your retrospective of this film. It awakened many memories, and, in honor of it’s 50th anniversary, Psycho is, once again, a “must see” for me! I think the opportunity of seeing PSYCHO in high definition is enough to justify you buying a blu-ray player! Hopefully, some day! Got to build the “mad money” fund back up! I have never heard of this movie Psycho before until I watched it in class. I brought the definition of horror a different meaning and it shows the difference between horror in the 60’s as well as modern day horror. I would watch it again and the sequel!! This response is too brief, Ashley. You need to formulate a response that indicates you both saw the film and read my blog post. 5/10. I will photocopy this and pass it out to my students. I show clips from PSYCHO in class, and I am making it a topic choice for their midterm projects. Thanks, Suzi. I’m giving extra credit to any of my students who see it at The Music Box and write a screening report with the ticket stub attached. I think Psycho also reminds us that fear can be artfully created and crafted. The suspense and genuine creepiness of humanity that Hitchcock is able to create is done without excessively slashing or gratuitous violence or even overt exploitation of women. He masterfully developed an actual story that is not only terrifying but also artistically done. It can be appreciated as a great film not just as a horror/suspense genre. The movie is totally engrained in our culture. One can simply mention “the shower scene” or imitate the slashing of the knife and know immediately that is Psycho. I think that says so much about an artist able to create something that is just a fearful today as it was fifty years ago. Pretty fine post. I just stumbled upon this web site and I’d like to say that I have really enjoyed reading your blog posts. I’ll be subscribing to your feed anyway and I hope you’ll post again soon. Big thanks for the useful information. It’s very exiting to find this whitecitycinema.com site. You definitely can write and teach and inspire. Keep writing – I’ll keep reading. Great article, I really love how you touch on Hitchcock’s use and insight with the doppelganger motif. I see this used in many horror films and depictions to this day. The idea that good and evil can coexist not only makes for a great story and movie but it also adds a dramatic and internal struggle. It is very interesting to watch the ones that go back and fourth but more interesting to watch the ones that fall to the evil! Great article, I have never seen the majority of this film, just the parts everyone knows like the shower scene. Hitchcock did a really good job of making us sympathize with Norman Bates, that he’s just caught up literally cleaning up his Mothers’ messes and can’t do much about it. That’s what makes the reveal that he was the one doing the killings that much more powerful, since we feel betrayed as well since we felt bad for him at first. Also it’s what makes it that much more scary, since this seemingly mild mannered guy Norman turns out to be some crazy killer, so then that anyone could also be this way anywhere. I completely agree with you that Hitchcock shows his mastery of deception and story telling in “Psycho”. You can see all over the movie scenes that have been taken and reused, and have become staples of the modern horror movie. Also the way Hitchcock convinces the audience to nearly the very end that Norman was not the culprit was fantastic. I myself did not put the pieces together until right before we find the preserved corpse of Mrs. Bates. Had it not been for the title of the movie, I would have not guessed that this was a horror movie until the introduction of the motel and it’s creepy keepers. Hitchcock made me believe that the movie was going to be only centered around Marion and what she planned to do with the money she had stolen. This jumping around between characters not only kept me in the dark trying to figure out who the killer was, but is also used today in a lot of modern movies. “Psycho” is defiantly deserves all of the hype it has received over the years, and I do plan on watching it again. Well, I definitely don’t blame you for watching it in every way possible- I thought it was a great movie! I have to admit, and it’s kind of embarrassing, but until the first image of the Bates Motel, I had no clue what this movie was about. However, my neighbor’s name is Norman Bates, so between that and the many motel visits my family made on our road trips, I’ve heard my parents talk about it all my life. I always knew Norman Bates was a creepy guy, one you wouldn’t want to be named after, and motels were supposed to be creepy, but no one ever brought up the actual name of the movie. Anyways, I agree, most people identify with Norman in the car sinking scene and want the car to sink because sometimes his character seems very naive and genuine. However, prior knowledge kept me on my toes on figuring out what the creepy Norman Bates would do next. Also, the analogy of the Victorian house in the back ground and the normal looking motel is great because it represents their actions. In the house, he is the evil mother. In the motel, he acts as a harmless motel owner. Anyway, I found your post very interesting as I did not know that much about the context and your interpretation is great! How old is your neighbor, Michelle? Jeez, you think his parents would’ve known better than to name him Norman! Great read as always. Love what you said about the scene where Norman cleans up after the murder. It’s impossible to watch the film and not root for Norman. When Arbogast is questioning him about Marion there is never a point when I’m not on Norman’s side, even after knowing he is the murderer. The way the film displays the duality of good and evil not only on screen but in the viewers mind is what I find most amazing. Hitchcock can make me root for who ever he wants me to; he can get me to feel whatever he wants me to. And I love it. Well said, John. I also find myself rooting for the villains (sometimes in spite of myself) when watching DIAL M FOR MURDER and STRANGERS ON A TRAIN. I would have to agree that the overall aspect of Psycho is setting such a standard for American horror films that, to some, it has never been topped in terms of atmosphere. I had some knowledge of what the film was about, especially because I had seen the first 30 minutes or so. What I find interesting about the film as a whole is that everyone has the attitude of “everything has to be fine,” when its pretty clear that there is obviously something is totally wrong. It’s extremely hard to say that Psycho is the best horror film, as horror is such a large and wide genre to have one film be the stand out. I find that the overall film though did set a standard for many horror movies since Psycho’s release. Hitchcock is known to be a director who really makes a movie over the top in undertones and refrences, and really makes you think whenever you are watching one of his films, and this is no different in Psycho. Psycho is the kind of film that makes you think, it doesn’t solely play off fear and bloody scenes to convey a message, as the movie, in itself isn’t all that scary. The idea that Psycho succeeds at more so than other horror films is that Psycho makes you think, as you know there is a problem, but you don’t know what the problem is, compared to modern horror where it is generally a known or visualized horror piece that will be seen and you, the viewer, know who the bad guy actually is. And for that, I think it just shows that Hitchcock’s film style is something that really isn’t seen much anymore, which is unfortunate, because we could use more actual psychological thriller films that actually challenge the viewer to think. I completely concur with the dual-nature of Hitchcock’s characters and how it reflects the duality of human nature. Hitchcock has always had a way of turning voyeurism on the audience (the opening shot moving into the window as if it is spying on Marion Crane and her secrets, Norman’s perspective, etc). Your examination of the car sinking and how it encapsulates the complex relationship that the audience has with Norman was, in my opinion, spot on. Great review, good sir. I agree that Hitchcock did a great job in making the viewer want the car to sink in the swamp, and I appreciate what you have said about the characters in the movie. I also feel that there are endless possibilities of interpretations about “Psycho” which is part of what makes it so good. Any movie that is definitive in its meaning is not a movie open to interpretation, and different interpretations are what I feel makes art good. I have always been fascinated by how movies can make people sympathize with a killer, and psycho is one of my favorite examples of this. As you said, the bathroom scene where Norman was cleaning up the body, the audience feels a sort of anxiety- hoping that Norman gets out of the situation cleanly. Relating this to our class, I would be curious to know why it is that we find ourselves rooting for someone who would normally be classified as a villain. As for myself, I think this can be attributed to the genius of Alfred Hitchcock. However, maybe we find ourselves rooting for Norman because he does something we all know we would never do- kind of like the idea of a forbidden fruit. I really liked that you referenced that this film was made as quick as possible, all while being made as cheaply as possible. For being made so quick and cheap, he made a fantastic film. Not only did Hitchcock name this film Psycho, but it is also a feeling you get while watching the movie. As you referenced, when Norman mopped up the blood splatter and after seeing his point of view we all secretly wish for him to succeed. So not only is this movie named Psycho, but we also feel psychotic for wanting him so badly get away with it… especially when he is trying to sink the car! I could not tell you any other movie that tries to make you see the point of view of the killer any better (granted, I do not watch many films). Hitchcock is simply put, a brilliant filmmaker. The fact that Psycho came from his own mind is evidence enough. As it says in the article, he makes the viewer feel for Norman, hoping that the car is going to sink into the swamp. When the car stops for that one moment, i could hear my self thinking, “c’mon, just go down a bit more.” I personally think that people enjoy to hop on the side of the anti-hero when they see the more human side of him. In the case of Norman, he was only doing what he was doing to try and help his mother; he was hiding a murder his mother committed because he loved her and needed her. Granted, it may have been his mother forcing him to clean up her mess against his will, but i digress. Norman is most certainly not a hero, but he isn’t entirely a villain, since technically it’s his mother committing the murders and not Norman. He is a victim of his own doing, based on a situation he created for himself; maybe not intentionally, but it is through his own faults that lead to this point, almost making the audience pity the boy, but also feel a sort of disturbance. I love that you brought up the feelings of wanting Norman to succeed in the murder, hoping he cleans up every inch of the bathroom and praying that the car will sink all the way. A part of me knew that he shouldn’t have gone away with it but I had an inch of hope that he would since he put so much effort into it so far. When you brought up the similarity between Rear Window and Psycho on how you see if from the characters perspective you start to see and feel and the baggage this person is going through, basically like you are on their team. I had a feeling of disturbance inside me when I was rooting for Norman because I knew that was wrong but thats just where my mind was leading me to watching this film. So I just want to start this off by saying that even though I am a fan of all types of film I had never seen Psycho. The only information I knew about the film was there is a motel, a murder in a shower(during which they used chocolate syrup for the blood! ), and it’s something that kickstarted the craze for thrillers up to the current day. The film certainly did live up to its directors motif and the iconic symbolism I have seen through the years, however, I didn’t find it to be very enthralling. Even though I liked the character of Norman Bates I couldn’t help but compare him to another favorite psycho of mine: Patrick Bateman. Sadly, I didn’t feel the same sympathy for Norman simply because I didn’t feel the innate feeling that humans have to be accepted by their peers, such as shown throughout American Psycho. Even during the very tense moment of the sinking car I couldn’t but help root that there would be some evidence to help get him caught. As much as I felt Hitchcock trying to portray Norman to us in a sympathetic manner I just couldn’t feel it. Norman as a character developing a split personality to deal with the personal issues from the relationship with his mother is certainly interesting and sympathetic but I didn’t find myself necessarily hoping for him to be able to continue through with his depraved fetish and murdering “mother”. Overall the film was certainly an amazing glimpse into the life of someone with Dissociative Identity Disorder. I just with the film would have went more in depth in the relationship between Norman and his mother, maybe give more background other than just a monologue at the end from a psychiatrist and a single overheard argument. This would have fleshed out the character sooner to me and maybe given me more to resonate with. However, I do understand there are issues when translating a book to a film. It would require some interesting workarounds to show Bates and his mother interacting. Since it’s hidden from the viewer up until the final moments there would be no logical way to deliver such information to the viewer without tipping them off that something is off with the mother sooner. Overall I find the plot to be interesting but I find the film falls flat in capturing my sympathy for who is made out to be the true main characters of the film, Norman and Mrs. Bates. I like how this talks about being the predecessor to modern horror. When we take a look at the modern horror, especially the ‘slasher’ type. For a majority of the movie, nobody has any understanding of the killer/monster, which is the main aspect that makes a ‘slasher’ movie more horrifying. This is also true of this film in which Hitchcock never reveals any information regarding the killer although after the first murder suspicion is placed around Mrs. Bates, and then with the murder of Arbogast, our suspicion as a view is strengthened. Once the sheriff reveals that Mrs. Bates is dead however, it creates a greater mystery around who is committing all of these murders. It isn’t until the climax where Norman is caught in the act and Mrs. Bates found as a preserved skeleton that we truly find any information out on the killer and what has been happening. That little formula has been the main focus of many movies within the last 35-40 years. Hitchcock truly laid out the groundwork for such movies by creating a great success here with Psycho that had ushered in movies that we know and enjoy now. I do, however, enjoy the way that Hitchcock portrayed the duality of Norman. As a first time viewer, and with little prior knowledge of the movie, I was unaware up until the end of the truth to Norman. It was actually very interesting to me to see a movie like this where the killer is actually a main part of the story and plot and the whole time is portrayed sympathetically to the audience through the repression of his mother, and his attempts to cover up the murders. Most of our modern ‘slasher’ types leave the killer in a complete air of mystery and do not focus the story on leaving the audience sympathetic to them. I think they way Hitchcock portrayed our killer here made the end of the movie a much more creepy motif as the whole time during the movie we had acted sympathetic toward him and wanted him to be successful. The result for the audience is conflicting emotion of our sympathies toward Norman and our desire to condemn him at the end for what he had done which really leaves, at least me, a much more eerie feeling at the end of the movie than the end of any ‘slasher’ where it is just simply a monster we know nothing about. Psycho is an excellent film that pretty much started the slasher genre. When it came out there was literally nothing like it around and nowadays there are hundreds of film like this. Every slasher film takes a little bit a way from psycho because it really was the first film of its kind. Its interesting how Hitchcock misleads the audience for the majority of the film making us think that Norman isn’t really the killer. This makes the audience sympathize with Norman because we think he is the victim of his abusive mother. However, when the big twist is revealed, we still somewhat sympathize with Norman because he wasn’t in his right mind when the murders were committed. I also really like the final scene where the police drag the swamp to find Marion’s car and the title card “The End” shows up. It was a very effective final shot. I had seen the shower clip in a previous film class and wasn’t sure if had seen the whole movie… thankfully I had not because that was something to remember. When I had watched horror films before seeing this film I didn’t know some of the recurring themes in the genre started off in Hitchhcock’s film’s. You can tell in recent films and even music videos(Puddle of Mudd-Psycho… maybe not homage but it’s referenced) that they pay homage to Psycho. When you mentioned rooting for Norman I thought I was the weirdo that wants the bad guy to win but can definitely see how Hitchcock manipulated the audiences point of view. All this done on a minimal budget is awesome… for something to be horrific sometimes you just need some real life stuff like creepy motels with creepy owners, who hasn’t run into that on a road trip. I love the “doppelganger motif” it definitely shows some craziness no one wants to think is possible to have but it’s a Horror film…so it’s okay. It was great to see you highlighting the fact that Hitchcock alternates subjective and objective points-of-view in his film. His masterful play on both perspectives allows us (perhaps, even forces us) to step into the shoes of Norman Bates. In turn, Hitchcock’s play on perspective has us subtly empathize with Norman and his actions throughout the movie. In real life everyone would say that no one in their right mind would empathize with a murderer. Therefore, the fact that we are able to empathize with Norman because we also feel relief when Marion’s car is taken by the swamp is both an insidious and masterful play by Hitchcock on our psyche. The fact that we are able to empathize can be considered abnormal by society’s standards and can be considered disturbing due to the fact that many people experience cognitive dissonance after experiencing that scene. So many feelings and thought processes happen to everyone in the audience throughout the film and so I whole heartedly agree that “Psycho” is very much a psychological horror film. As i watch Psycho I thougth about Noman Bates wanted to be like his mother so much that he thought he could become his mother by dressing up llike his mother and by using his mother voice in some of the seens. Noman Bates also thought that he could keep the bad people away from hiself and away from his mother. I also thougth that Noman Bates was very jeoulous of his mother having a affair with a man that he kill his mother and the man that he caught his mother in the bed with. Norman thought that he could keep his mother alive by talking like his mother , and by dressing up in his mother clothes when he felt like he should dress up like his mother . I also thought about the sceen when Noman Bates dress up like his mother and went to the hotel and stive the lady that was looking for the piravate decetive. I know this was one of my times that i became really scare of Noman Bates,because he dress up like his mother but he was Noman Batesi instead of Mrs. Bates. Norman Bates act like a disarrange Psycho murder in this film. My personal opinion on the scene with the sinking car is not that I associated with the killer. It is that I did not want to watch an obvious setup or foreshadowing of things to come. Most times in films the viewer would not be shown such a scene (if the car didn’t sink) without it coming back into focus later. If the car didn’t sink completely, it would likely be discovered later in the film. Once you have seen enough films you just know what’s to come. Some films play off this foreshadowing to mislead the audience. A viewer could get pushed into many directions now just to try to keep a feeling of a twist at the end of a film. Either the film revisits material from scenes or I am left, as the viewer, wondering why such screen time was used unless it was an attempt to keep the viewer guessing or to push them in one direction to create a feeling of a twist, turn, surprise ending. The biggest surprise to me was the total lack of an upset reaction from the sister and lover of the first victim in this film (the female lead), at the end of the film. To think that the people closest to you in life would holdback any emotions related to grieving your death just to hear out the opinions of a psychological diagnoses and depiction of said diagnosis at the time of being informed that your sister or lover was in fact murdered. The sound was something that still sticks out for me. For me, the voiceovers in the beginning of this film had a specific sound to them. It was the inner thoughts of the lead female lead. She was playing out what was likely being said, or what she thought they would be saying, by those in her life who were affected by her taking the money and running. Later in the film the dialogue between Norman and his mother sounded the same. Part of the effect is hearing dialogue of characters that you cannot see at the time of them talking. What sticks out to me though is how the sound is almost dead on with the audio from the scenes with the female leads inner thoughts and the scenes with Norman talking to his mother, in the way it was recorded and used. Was this foreshadowing intentional on Alfred Hitchcock’s part? Since Norman is both his mother and himself through the film was this a way of helping the viewers mind to perhaps make that connection early on in this film? I would feel like it was definitely intentional if the female lead never heard Norman arguing with his mother through her hotel room window. This might now stick out to me at all if the audio was done differently. If the audio sounded like it was far away instead of almost straight out of the mind like from scenes with the lead female, well then I doubt I would be reading into this at all. I likely wouldn’t even question it. In my personal opinion it was intentional on Alfred Hitchcock’s part. The hobby of taxidermy on Norman’s part was foreshadowing, to me. Norman’s mother was dug up and preserved to the best of Normans ability. As a member of the audience we get to see this toward the end of the film and we get to here the man who shared Norman’s psychological diagnosis, talk about Normans attempts to preserve the body. That audio though… I just can’t tell if it was intentional. Then there were two other scenes that stuck out to me. Yes, I am quite critical of film. It doesn’t mean I don’t like this move. I very much enjoy Alfred Hitchcock’s work and this is one of his films that my memory designated to retain, this says something. So, back to those two other scenes. When our female lead first shows up at the Bates Motel, Norman speaks to her on the way from her car to the door of the office but his mouth isn’t moving. The voice over stuck out a little too much to me and it took me out of the film. It felt like it broke the fourth wall for me. Then the scene when the detective is falling backwards down the stairs, it bothered me. It was cool how it was shot but it was a little too humorous and fake for me. Maybe this is messed up thinking on my part but back in those days you could get away with jeopardizing talents safety for the sake of film. They could have saved that scene to be shot last for that character and risked him rolling down the stairs, if the actor was comfortable doing so. I wish I knew when stunt doubles first were implemented in film but I am not sure. That could have been a good option as well. I would rather not see anyone get hurt while trying to make a film. That feeling of the fourth wall being broken though pulls me out of the film and helps me disconnect from the characters. The rest of the film was done in a way that seemed as though quite realistic. This is still a good film though. Oh, one more thing I would like to point out. Does Norman Bates not realize how much a newspaper usually weighs? It could be his state of desperation to clean up a crime scene that distracts him from such a detail. Norman’s character could have had greater depth added to him if he had found that money. He likely did feel too attached to his world to start a new life somewhere else even if he had all the money in the world. He might have just thrown the money in the car before he pushed it into the swamp anyway. Many people probably couldn’t fathom what it was like to have that much money, in cash, in their possession, in that era. Maybe it would have had a bigger impact to see Norman knowingly dispose of such a large amount of money. Maybe he would save the money and just invest in the Bates Hotel and mansion, or he may have used it to help stuff his mother’s corpse. Perhaps he would have tried to buy his mother off with the money. Could he buy his mother off if she is in his head? Would that have possibly freed Norman of his mental ailment? “Psycho” is a great film as is but I can’t help but wonder where Alfred Hitchcock would go with the story, given different circumstances or opportunities. This was my first time ever watching “Psyco” and I thought it was clever. The only experiance I ever had with this film would be the popular tv show “Bates Motel”. It was nice to see where the madness all began. I completely agree that Alfred Hitchcock started a frenzy in the horror movie world after this films release. The idea of being put into the characters perspective is absolutely genius! As we discussed in class, we all wanted that car to sink! Mr. Hitchcock created the perfect movie plot for a horror movie. It is one that is unique and by far the most original and terrifying of most horror films. This movie involved us (the audience) and kept us guessing in the films mysterious and blood lusting frenzy of Norman Bates. The idea of a mother and son such as Norman and his mother joined into one character was insane and genius! This film was pure gold and the psychology of Norman is something that does exist. So I do enjoy knowing this can actually happen or even possibly it did somewhere in the world. I defiantly understand the world of horror better now that I have seen the grandfather of all horror movies, “Psyco”. The films dark textures and even the active clouds above the Bates home on the hill was truly a spooky effect. After watching this movie I know one feeling I have for sure… I now check the bathroom twice as I shower and always look behind me! Thank you Alfred Hitchcock, you have gifted the world with horror. I am not a huge fan of the horror genre, however Alfred Hitchcock’s Psycho film is a masterpiece of suspense with the delusion of a violent serial killer in the disguise of a quiet, awkward, young man. My major is psychology and I love that this film displayed the concept of murder and schizophrenia with Norman Bates’ split personality. He appeared in the film as a shy, kind, mommy’s boy and all of a sudden he turn into a deadly, wicked, vicious ,Mrs.Bates, his dead mother. I felt that he was affected by schizophrenia, because his mother side personality took over him when he committed murders. The one major scene which clearly presented schizophrenia: he dressed up in his mother clothes, and a grey wig running with a large kitchen knife into a fruit cellar attempting murder Marion’s sister and it was revealed that Mrs.Bates does not exist. Another scene, I thought that Mrs. Bates was real when he was in a conversion with his mother which making me believe that she was real throughout the film. Schizophrenia connects with the concept of murder because his mother, Mrs.Bates, murders all the women that Norman is attracted to in a bitter temper. Also, the famous shower scene showed that Mrs.Bates murder Marion is a great example. As well as the other murder crime scene when his mother stabs at private detective with the kitchen knife. The visual technique of this film was brilliant because I would never believe that Norman is slim,awkward, weak-looking man that was incapable to be a serial killer. I like that Alfred Hitchcock kept the true identities of Norman Bates and Mrs.Bates was reveal in the end. I do not love horror movies. I don’t really enjoy watching anything that is scary. In fact my knowledge and experience of horror movies is very limited for the same reason. I was worried about watching Psycho because I was expecting to see horror in as far as I have experienced horror movies thus far. I was glad to find that the movie is not as graphic as movies today. Although I know that Psycho was quite graphic and revolutionary for its time in its own right. Still the movie was scary… And yet I enjoyed it. I always wondered what the fuss was all about. I have a lot of friends that love film and their knowledge of film by far surpasses mine. When I told them the list of films for the class they were happy that apparently some very fundamental classics were included, Psycho being one of them. I was excited I was finally going to experience the movie myself and I was not disappointed. The plot was genius. You pointed out Hitchcock’s ability to have more control of the making of Psycho by keeping the costs down. This is not something I would otherwise have known and I think this shines light on how hard it was to make such “groundbreaking” films then, but I believe this truth is still true today. Hollywood films always follow the same pattern and I’m sure that only independent films can experiment with the content and type of film that is produced because it doesn’t have the same limitations as with Hollywood films. Although I’m sure it has limitations of its own, such as financial. You also highlight the doppelganger in Psycho. 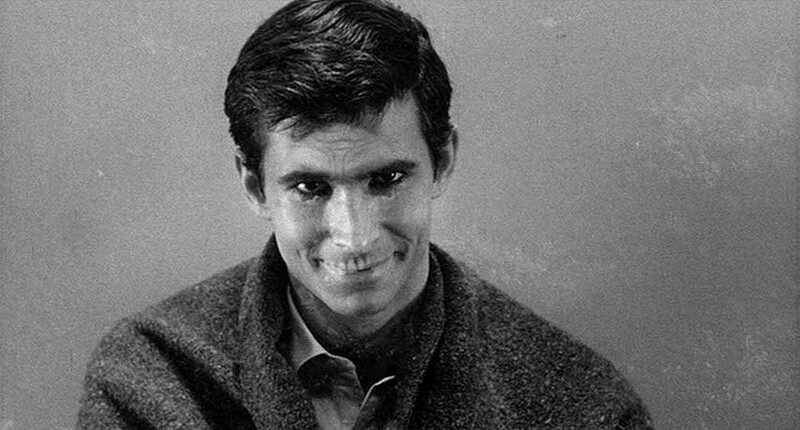 I hadn’t thought of the Norman Bates quite like that but once you pointed it out I realized how right you were and how much I agree with “the duality of the human nature, [and] the belief that good and evil coexist side by side in the human heart.” It was great to see it in that light and easier to empathize with Norman and to some degree even question or analyze our own dark side. in the plot there were elements of suspense that were unexpected that scared me. The plausibility of the plot and hence the reason that it is a psychological thriller was also very scary. It was almost surreal to see Norman Bates switch from what we would describe as a normal person to someone that was so obviously off kilter. And equally surreal that Marion didn’t run in the other direction when she saw him unravel the way he did and then bounce back to normal like a rubber band. The viewer could easily identify with Marion because it is so easy to imagine ourselves in a situation in which we need to spend the night in a hotel, a seemingly safe place, and perhaps the same fate awaits us…which is terrifying! Another element that I think isn’t mentioned enough in my opinion is the music. I think that the score is probably the effect that makes it the scariest for me. As I was watching the movie I realized a lot of the scenes probably wouldn’t be so scary if at all if it weren’t for the music. The music created an atmosphere and set the tone. Even though some of the scenes are not as realistic as they could have been or as we would have liked them to be, I found that even those scenes fit perfectly with the film. It adds a something that makes it right. For example, the scene were the detective is falling down the stairs is so unrealistic and yet its almost as if during that scene I am Norman Bates and he’s falling in the way Norman sees him which is off but its right because it emphasizes the absence of Norman, the absence of reality. Overall the film was in my limited opinion great and successful. I am a fan of horror film without any doubt. I love “The Conjuring”, and I still can remember the how I scream along with others when the Carolyn went down stair to the basement. Just like what you said, Psycho is just one of the most cherished films in the history of cinema. I remember many scenes of Psycho on Chinese Television Show and film reviews, everyone knew about the bathroom murder scene, and so many Chinese film critics talked about how this scene presents the atmosphere of terror and violent without showing knife cutting the body. However, what interests me more is not the bathroom murder scene, it is the following scene, “The hypnotic, silent, clean-up scene” interests me the most. This is the second time I watched Psycho, but it is truly the first time I realize the fascination of this scene. I cannot explain it, this scene is amazing, I do not sure what you said is reasonable enough to explain the brilliance of this scene. I feel like I fell into a trap that is well prepared by Hitchcock. I do admit that many times I start to view everything through Norman’s perspective, for example, I hate Lila Crane searching the big house of Norman, and I want her to die so much every time I watch this film. “She ruined everything!”, this is how I feel when Norman stopped by Sam Loomis. I hope Norman could kill her, I do not like her, I am not sure I like Norman or not, but I do not like her. Maybe because I am Norman when I watch the Psycho. I agree, the way Hitchcock makes us identify with Norman through clever camera work is downright disturbing and it is especially apparent when compared to more modern slasher villains like Jason or Michael. Unlike modern slasher films Psycho gives the audiences both sympathetic victims and a villain. The film builds up its plot very deliberately. Norman doesn’t even show up for the first one-third of the film. The first third of the Psycho feels like a Film Noir and Marion just incidentally drove into the plot of a slasher horror. In that way I guess you could say that the first third of the film is the “foreplay” before the actual plot kicks in. This was my first time watching Psycho and I would for sure watch it again although I am not a big fan of horror films. I thought Psycho was just going to be another one of those films where a psychotic killer would pop out of a room and kill the young girl who had it coming. And thats exactly what it was, except with a twist. I completely agree that we are supposed to feel sympathetic for Norman given that we see him as bound to his mother who is “ill” and needs his companionship all the time so he really isnt able to live his own life. I think Hitchcocks aim is trying to play on the viewers emotions of sympathy and curiosity because you feel bad for the guy but you also wonder why he acts the way he does which is all explained in the big twist at the end. This film makes you want to watch it again so you can understand it better. I will definitely want to watch is again. Great movie! I didn’t know the name of the movie for most part, it wasn’t until the very end where he’s carrying his “mother” downstairs where I put it together. Maybe it was because the menu had “Bates motel” and the name sounded familiar. Normally when it’s black and white movies I don’t take interest in them and I have to force myself to pay attention, but this movie was really easy to follow. Most part of the movie I found myself rooting for Norman, mainly because I thought he was adorable because he was really shy and innocent looking. So I would cheer for him to save his mother because I felt he needed her more than she needed him. I rooted for the car to pass by after he was done cleaning, I rooted for the car to sink, I rooted for the detective to leave, to give up, and maybe even a little when Norman’s mom got rid of him. Hitchcock made it extremely easy for me to root for Norman. Maybe the fact that Marian was getting what she deserved or maybe just because like “The Dark Knight’s” joker, he’s the villain we all love to root for, even when we know the villain will loose. To me this film is more of a mystery than horror, obviously due to all the other horror films we’ve been exposed to. It’s impossible for me to think that this movie was a big fuss back then. Wow, took the words right out of my mouth. I have to agree that Hitchcock manages to make us side with the people that are usually doing wrong. For example, in the beginning when Marion runs off with the money, the way the scenes are progressively more and more intense which make the audience really hope that she gets away with it. We almost feel that if she doesn’t get away with it, then we failed. Then that ability to make us side with the “bad” guy is transferred and has the audience feeling a sort of sympathy for Norman. Norman seems to be awkward and not have the best social skills. You notice this when he comes back from the house with the food for Marion. He gives off an aura of a harmless and submissive son. The audience is given that feeling after Marion is killed and Norman is cleaning that bathroom. The audience almost feels bad for him having to go through that trouble all because of his mother. Little do we know that when the mother ends up being dead this whole time, the audience starts to realize that Norman and his mother are the same person. We had a little glimpse of that split personality when he breaks out a bit when Marion suggests he put his mother in a home. He starts to get almost agressive and his whole vocal tone is overall more assertive and aggressive. This is the foreshadowing that allowed us to see that Norman is and was the only real Psycho at the Bates motel. I was actually really nervous about watching this film last Saturday. I don’t like horror film at all, and I usually try to avoid them at all costs. I tend to get easily scared, and I have a hard time separating the film from reality. After I watch a horror film, I’m usually extra paranoid for like a week or two and I’m hyperaware of every strange sound in my house. However, I was pleasantly surprised when we watched Psycho because I actually really enjoyed it. I think the main reason I enjoyed it so much was the fact that it had an actual storyline and plot; it wasn’t just some guy running around and killing everyone in sight. The beginning of the Psycho has a Film Noir feel. When Marion decides to run off with the money, I got flashbacks of Kathie stealing Whit’s money in Out of the Past, and I was waiting for the detective to show up. However, as the film develops we realize that it is not a Film Noir, but a horror film. I agree that the switch between subjective and objective views really help us to relate to Norman’s character. This was one of the main reasons I liked the film so much; it felt like we were right there with Norman. In the scene when he is cleaning up the shower, it feels like we are right there mopping up the blood with him. When he pushes the car into the swamp, we are willing for the car to sink. We feel as though we are the ones who will get caught if the car fails to sink. If you asked anyone in class before the film, if we thought that we would sympathize with a murderer, we would’ve said no. Hitchcock was able to make us all root for the bad guy in a subtle way with the changing viewpoints, so we don’t even realize it until the end of the film. I think this is one of the biggest accomplishments of the film, and it truly is a psychological horror film. I also found the “secret” of the film very interesting. Because I hate horror movies so much, I typically try to avoid any conversation about horror films, so I had absolutely no idea what Psycho was about before we watched it. I think that Hitchcock did an amazing job keeping it a secret until the end. I had no idea that Norman and his mother were the same person until he came running into the wine cellar wearing the wig and dress, and I’m usually really good at figuring out surprise endings before they reveal themselves. The first thing that threw me off was the argument that Norman and his mother had when he was trying to bring Marion some food. The way that she was speaking was so cruel that it never crossed my mind that it was actually Norman arguing with himself the whole time. Another thing that threw me off was when his mother said that she wasn’t going to let Norman hide her in the cellar. This confirmed for me that Norman’s mom was actually alive, but Norman put another body in her place earlier when he killed her lover. I was completely surprised when I realized that his mother really was dead the whole time, and Norman was the one killing all along. Looking back now I see the signs, for example, when Marion criticizes Norman’s mother, his facial expression completely changes and he tells Marion off. This was an example of him switching between personalities. Another clue was his taxidermy hobby, which allowed him to preserve his mother’s body. The final clue was how detached the mother’s voice sounded in the scenes. It didn’t sound like a natural part of the scene; it was more of a voice over, which I didn’t notice until after the secret was revealed. I think part of the reason I didn’t realize that Norman was actually the killer was the fact that he was so likeable. I was rooting for him, and I didn’t want to accept that was actually the bad guy. Psycho is definitely one of the most iconic movies that has ever been made. I went to Universal Studios in Hollywood a couple of summers ago, and went on a tour of the back lot and sets. On the tour, they show you the sets from various films and television shows. The Bates Motel and the Psycho house were by far the sets that everyone was most excited about. People of all ages were talking about how much they loved the film and where/when they first saw it. It was really interesting to see how people of all different backgrounds enjoyed the film and still got freaked out when seeing the sets. This shows how big this film truly is because it still has such a huge presence over 50 years later. I always watch Psycho when AMC’s Hitchcock marathon is on. I never miss it! “…culminating in Psycho’s shower murder, which can be seen as Norman Bates’ only means of sexual release after arousing himself through the act of spying”, I never thought about that way until now that you mention it. I like your observation. This reminded me of a recent episode in Bates Motel. As a kid, back in vhs era, every Friday night my parents would take us to go rent movies and I’d only ever rent Ghostbusters 1&2, Beetlejuice, or The Birds. So Hitchcock holds a big part in my childhood. I recommend anyone to watch Bates Motel on A&E. Freddie Highmore plays a GREAT young Norman Bates.